I have been MIA for sometime - a very unexpected thing happened in 2012 which I shall not delve here! Anyway, I just want to wish everyone that 2013 will be full of SUNSHINE and RAINBOWS! 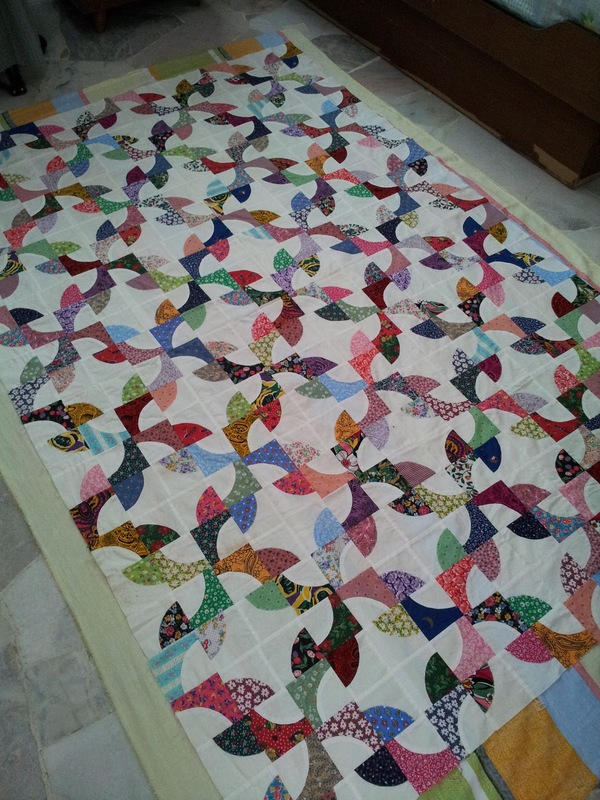 Sneak peek of a quilt I hope to complete in 2013 - the backing is laid; just need to sew the border. BTW.....the challenge for the coming NNC Anniversary meet is FABRIC House set by our esteemed headmistress, MW! And I'm pleased to say, I have completed ! *wink* I have also completed the Gift Exchange to go together with the Fabric house. Unfortunately, I can't show the pictures at this time yet! Finally an update in your blog ! LOL! 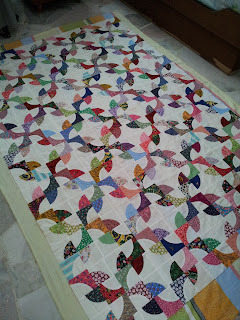 Congrads on your finish, both the quilt and the NNC exchange .